SCR Emulator Volvo-Renault EURO 6 V3 (for trucks with and without retarder) is a device made to override SCR system on supported Volvo and Renault trucks. 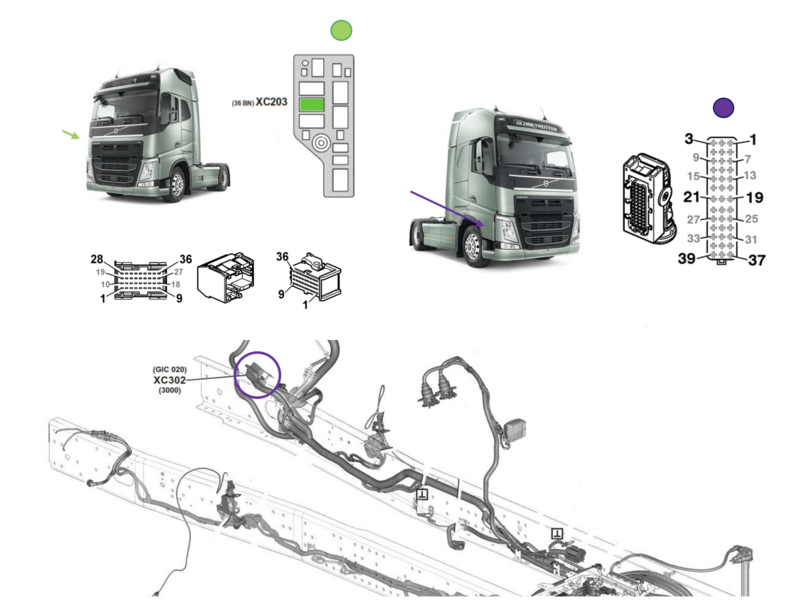 This manual shows the installation process for Volvo FH4 EURO 6 (without retarder) truck. However, manual includes all the necessary information for installation on other supported trucks. This AdBlue emulator (SCR emulator) is compatible only with Volvo/Renault EURO 6 type vehicles, and you can’t use it on older trucks with EURO 5 or EURO 4 and lower standard engines. Also, we need to mention that you can use this emulator on Volvo/Renault vehicles with the latest firmware (other emulators can’t work correctly on updated trucks with the latest firmware versions). Incompatible with cars made by other manufacturers even if these vehicles equipped with EURO 6 type engines. We highly recommend you to delete all DTC (Diagnostic Trouble Codes) errors from OBD (On-Board Diagnostics) system before you proceed with the installation process. The best option is to use original Volvo 88890300 or any other compatible diagnostic scanner. If you noticed new DTC errors after installation, please recheck the system with the diagnostic scanner because there might be errors related to incorrect installation. 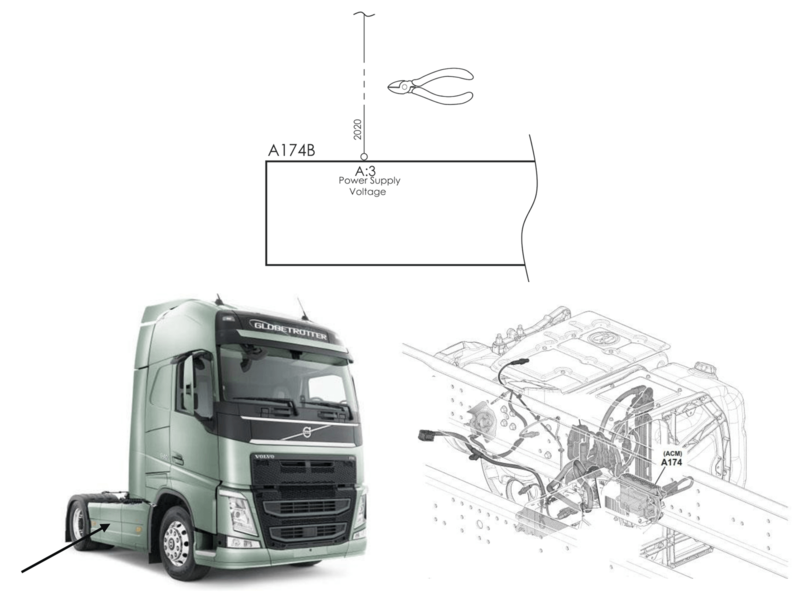 For the safety reasons we highly recommend to start the installation by connecting a ground wire, it’s safer for the emulator and your truck. There are five LED indicators used to show the status of the emulator. Each LED indicator represents the state of a particular system and its condition. LED flashes – OK, connected, working. LED off – ERROR! Check the CAN1 connection. LED off – ERROR! Check the CAN2 connection. LED off – OK, SCR module disconnected succsessfuly. LED on – ERROR! SCR module still connected. LED off – OK, NOx module disconnected succsessfuly. LED on – ERROR! NOx module still connected. LED on – ERROR! Fault reading truck systems (switch ignition on/off). LED flashes – OK! Retarder system. LED on/off within 30 seconds – OK! No retarder system. V3 emulator has two switches on it. These used to switch between emulator support modes for trucks with retarder system and trucks without this system. Each switch has its number. 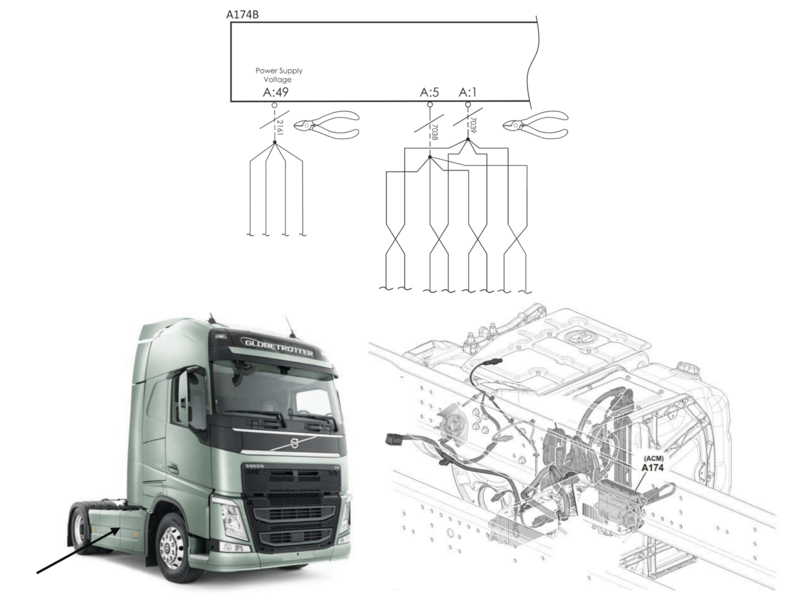 To enable retarder system support (for trucks with retarder system) – both switches in possition “ON”. One of these configurations is necessary for correct emulator operation. There are no alternative configurations, and you must check this setting before the installation. Please connect according to scheme the socket XC203 located in the transition panel of the cabin-frame, to the XC302 connector located on the vehicle frame in the front, left part of the chassis. Disabling the SCR system (vehicle version without retarder) involves power disconnection of the SCR module (located in the center of the vehicle frame). It is necessary to disconnect the wire 2020 connected to A connector terminal 3. Disabling the SCR system (vehicle version with retarder) involves disconnecting the CAN line from the SCR module (located in the center of the vehicle frame), power disconnection of the NOx sensor (disconnect the supply of the NOx sensor from the SCR module located in the center of the vehicle frame). Move to On position switch 1 (located inside the emulator). 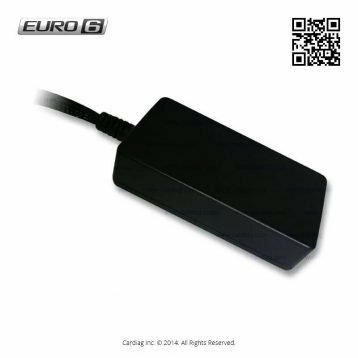 SCR Emulator Volvo-Renault EURO 6 V3 (with and without retarder) installation manual was last modified: January 30th, 2019 by Cardiag Inc.